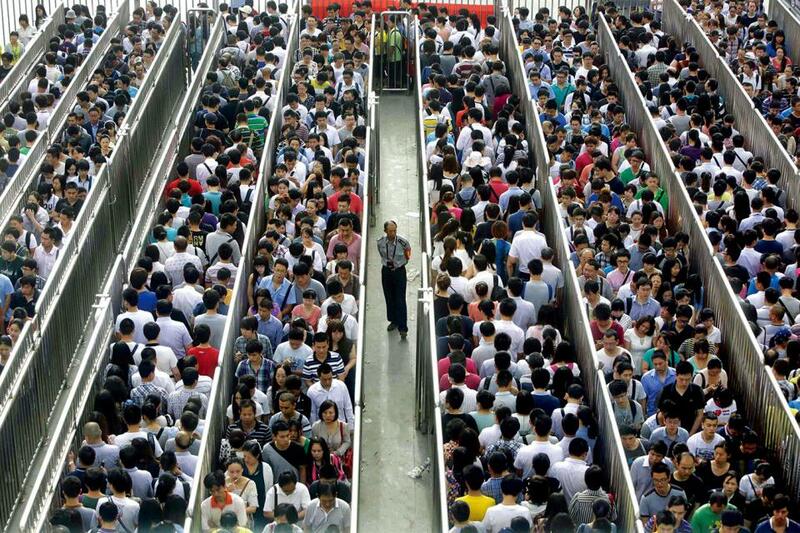 Chinese companies are growing nervous about their social insurance contributions. Recently, a glassmaking company in Jiangsu Province, one of China’s major economic powerhouses, made headlines when a local court demanded it pay 1.8 million yuan (US$260,870) for its employees’ overdue social security bill dating back to 2007. Taxation authorities in other places have taken similar legal action to collect overdue social security contributions from companies. These cases renewed market concern that increasing government expenditure on social insurance will come along with the upcoming implementation of a tougher social insurance collection policy. Starting on January 1, 2019, the basic social insurance contribution in China will be uniformly collected by national tax departments, which hold more information about the income of both employers and employees than social insurance agencies. The new regulatory framework is expected to leave much less room for companies to deliberately dodge the fees, which has long been common practice. The high profile retrieval of huge cumulative fees before the new policy comes into effect has further fueled anxiety that if all employers have to do the same, many small companies, which are already struggling to survive, will go bankrupt. There are widespread concerns that the country’s whole economy will suffer. In a swift response to the outcry, Chinese Premier Li Keqiang stressed at a State Council meeting on September 18 that all places must keep their present collection policies unchanged until the reform is in place next year, and no department is allowed to retrieve overdue social insurance contributions at the discretion of local governments. Li also asked relevant departments to study how to reduce the social insurance rate to avoid burdening companies after the regulations are implemented. While this has eased market jitters, the dilemma of reducing social insurance contribution burdens while easing the country’s social insurance shortfall is yet to be solved. According to a recent white paper on social security released by 51shebao, an online social security service provider for companies, most enterprises now cover all five types of insurance for their employees – pensions, health care, unemployment, work injury and birth. This is progress, however, only 27 percent of the companies paid their contributions in full in 2018. The number was 24.1 percent in 2017, the lowest since 2015. Yang Liangchu, a specialist from the Chinese Academy of Fiscal Sciences, revealed that it is more common for labor intensive companies to pay contributions based only on their basic salary instead of total income (which comprises the basic salary plus bonuses and various subsidies for transportation, communication, food, and more). Employers use this as a way to reward hardworking employees and save on social insurance contributions to reduce labor costs. Fang Lianquan, a specialist in social insurance from the Chinese Academy of Social Sciences, attributed the underpayment culture to companies’ poor awareness of their obligations and loopholes in the existing regulatory framework. As he explained to NewsChina, China’s social insurance collection system is fragmented, with tax bureaus doing the work of collecting and social insurance agencies deciding the minimum and maximum salaries subject to contribution in most places. The complexity leaves room for many companies to dodge their dues and causes tax policy variations across different regions. Furthermore, some local governments provided favorable social insurance policies to attract investment. Jin Lei, CEO of a biotech company in Beijing, told NewsChina that very few companies will pay social insurance in full like his company, which has a plan to go public. Most of the companies dodge full payment by employing part-time workers, thus employers are not obliged to pay social insurance contributions, or could pay them based on a fake wage level to decrease expenditure. Meanwhile, concealing the actual wage level of employees is sometimes a tacit agreement between employers and employees. According to Jin, employees sometimes don’t want to pay either, feeling insecure about the benefits they expect to get in the future and preferring to take the money now – perhaps to invest it or buy commercial insurance that can give them higher and quicker returns. Once the means for companies to shirk their social insurance responsibilities are blocked, many companies worry their operational costs will skyrocket, making it difficult for some to survive. Chinese companies’ tax rate accounted for 67.3 percent of their profits in 2017, ranking 12th in the world, much higher than the global average of 40.5 percent, according to a report from the World Bank that surveyed 190 countries and regions. And its social security insurance contributions, which account for more than 40 percent of an employee’s total pay bill, are the second-highest in the world. In social security contributions, about 30 percent of the pay bill is paid by employers and 10 percent by employees. 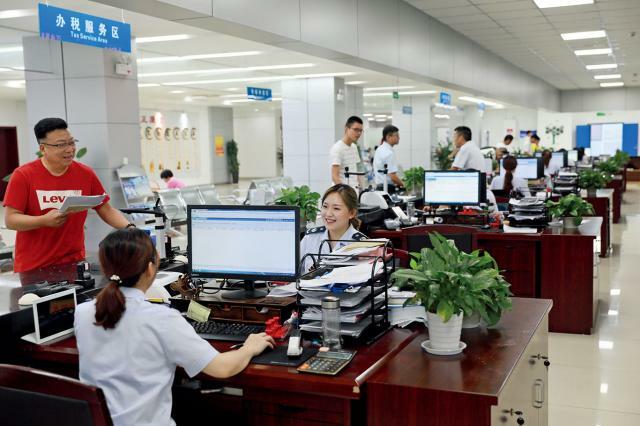 Sokon Industry Group, a company in Chongqing dedicated to automobile research and development, has set its own standards for social security contributions based on its employees’ salaries and positions, not their full salaries. There, social insurance contributions account for 19 percent of labor costs. If they didn’t do things that way, the cost of labor would increase by 12 percent, according to the human resources department of the company. Liang Hong, an economist from China International Capital Corporation Limited (CICC), a joint venture investment bank, pointed out that if all companies pay their required social security insurance contributions, their overall expenditure on social insurance will increase by 14 percent, leaving 70 percent of Chinese companies feeling the impact. According to recent CICC research, that means the national social insurance fund would increase by about 700 billion yuan (US$101.7b) each year. Research by Shenwan Hongyuan Securities suggests paying the social insurance contribution in full would cause a decline in profits of 5.5 percent among firms listed at China’s A-share market, with the net profit for listed private companies expected to slide by 12.7 percent. Jin Lei’s company has already abandoned a talent plan after learning of the new policy. A former employee with a private equity company in Beijing who asked not to be named told NewsChina the company had just fired five of its senior executives, himself included, to reduce labor costs. Many other companies interviewed told NewsChina that they would be more prudent in adding employees and increasing salaries, and consider cutting staff. Some small companies where the new policy will have limited influence are supportive of the policy change. “If a company could go broke simply from increased social insurance expenditure, then the company is apparently not making sufficient profits. Social insurance is not to blame,” Wang Ou, who works at a media company in Beijing, told NewsChina. The majority of employees at her company were born in the 1980s and most of them care about paying social insurance, so the company has been paying the contribution in full. Shi Zhengwen, director of the Center for Research in Fiscal and Tax Law at the China University of Political Science and Law, said worries over the new policy mainly come from companies that have not paid their due social insurance premiums, which constitutes the majority in the market. The more a company has dodged the fees, the bigger the impact it will feel when the new policy is in place. 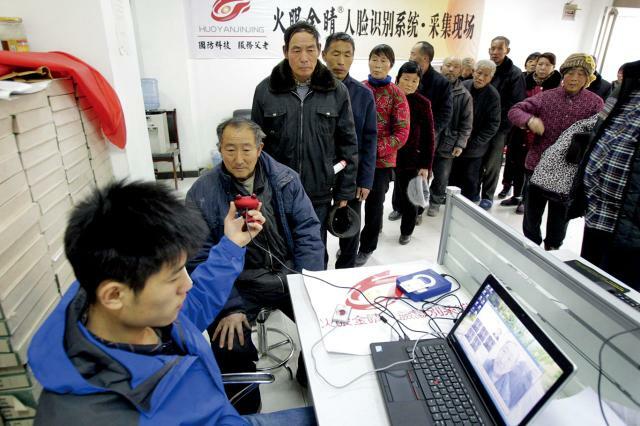 At the State Council meeting, Premier Li also asked relevant departments to hasten the process of figuring out how to reduce the social security costs after the new collection system is in place. He noted that the reduction could come out simultaneously alongside the implementation of a new collection policy to avoid increasing the burden to enterprises. According to a Shenwan Hongyuan Securities analysis, to completely balance out the impact on listed A-share private firms, social insurance contribution rates need to be reduced by nearly 14 percent. That’s not an easy decision. The gap in the social security fund is becoming increasingly pronounced. Even though there is a surplus in the fund every year, that’s only a result of increasing the fiscal subsidies from the central government. Without the subsidies, the gap between the income and expenditure of social insurance could reach 458.1 billion yuan (US$66.7b) in 2016, according to the CICC. As the tax department knows well, the real full income and salaries of companies and their employees and the cost of social insurance contributions for enterprises will be clear once the national tax department takes charge of contribution collection. Analysts believe this will pave the way for deciding the most reasonable rates. In addition, Fang stressed that unified national standards for contributions, including the proportion of full salaries and the baseline salaries subject to contributions, must be set to ensure fair competition among enterprises. The economic gap between developed and developing regions within the country has to be considered when setting the standards. Fang explained that the former, with a surplus in social security funds, was less motivated to implement the stricter collection system. Besides, while there is no doubt about the necessity of requiring employers to pay social security contributions in full, analysts have called for a grace period for struggling companies. The competitiveness of Chinese companies, the consumption power of Chinese employees and the retirement years of China’s future retirees are all at stake. There is a delicate line to tread.